At a crucial period when he needs them most, Man has been deprived of the very qualities upon which his future survival depends. Specifically, the qualities of leadership. Thus L. Ron Hubbard delivered this immortal message, a lecture he considered so important he had copies distributed to every auditor on Earth. As he details each of the attributes that together define leadership, he articulates an inherent responsibility. Where a society is composed of people who are capable of bringing order into their affairs and into the society, into their groups, we of course have a stable society. We don’t have a chaos. Hence, at a crucial period when he needs them most, Man has been deprived of the very qualities upon which his future survival depends. Specifically, the qualities of leadership. Thus L. Ron Hubbard delivered this immortal message, a lecture he considered so important he had copies distributed to every auditor on the planet. As he details each of the attributes that together define leadership, he articulates an inherent responsibility. 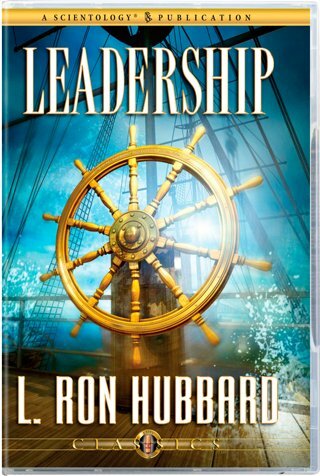 Here, then, is the means for every Scientologist, achieving its hallmark qualities, to provide the leadership Man so urgently needs.